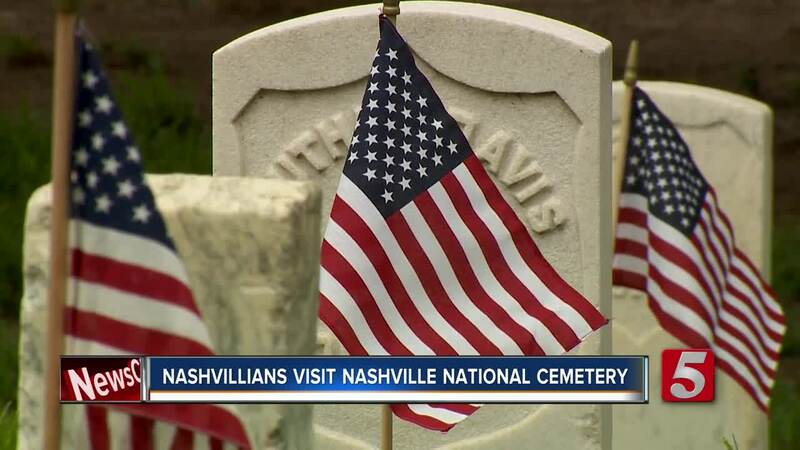 Many people honored those who made the ultimate sacrifice for our country this Memorial Day weekend, and some are remembering those service members at the Nashville National Cemetery. 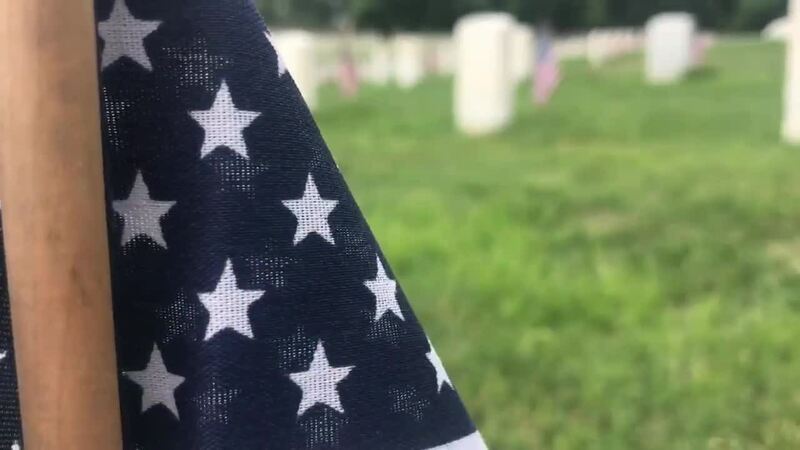 There are as many as 35,000 headstones in the cemetery, and this is the final resting place for thousands of service members who fought for our freedom. Most of the land for the cemetery was acquired shortly after the Civil War. Dozens of people, like Gary Burk, visited the cemetery to honor members of the armed forces. "They lie in formation, even today in death. This battalion of brothers that we remember, not only on Memorial Day but every day, we thank them," said Burk. The graves were decorated with small United States flags by Boy Scouts and their families Saturday morning. The flags will removed immediately after the holiday. Flags are not permitted on graves at any other time.